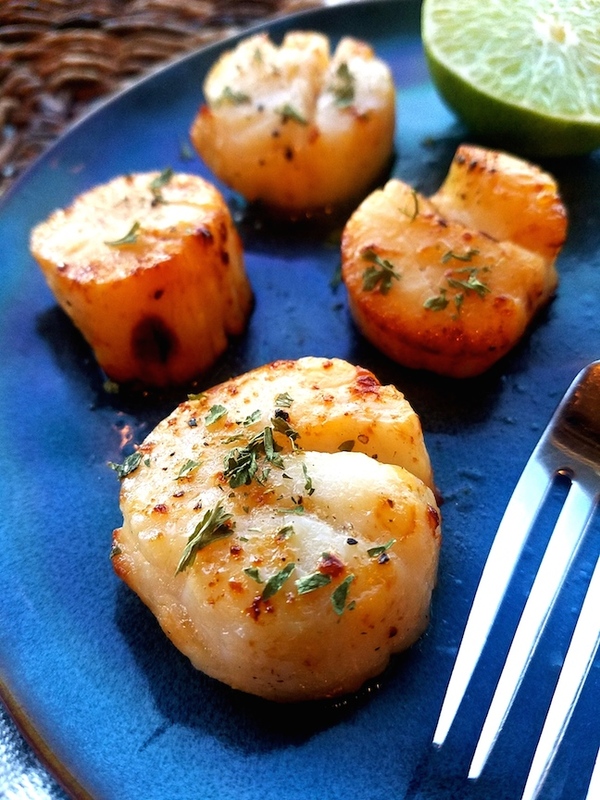 Most recipes for scallops usually have them pan seared just a few minutes on high heat on each side. I love to use my broiler, so I decided to throw some scallops in there to see how they'd turn out. I love the flavor of sea scallops, so I don't do much to them. These were seasoned with salt and pepper, dipped in melted butter, then finished with a squeeze of lime afterwards. I use the broiler a lot because you can cook food quickly, the oven door remains open so that you can keep an eye on the food, and you can usually broil in the same amount of time as you would if you were grilling. I loved preparing scallops this way! Simple is my favorite way to cook. Roll the scallops in melted butter. Place the scallops onto a foil lined pan. Pour the remaining butter on the top. Broil 5 - 6 minutes per side, until browned, watching closely.